Drive Medical High Visibility Door Patient Alarm Banner from HealthyKin.com provide an effective deterrent to wandering. 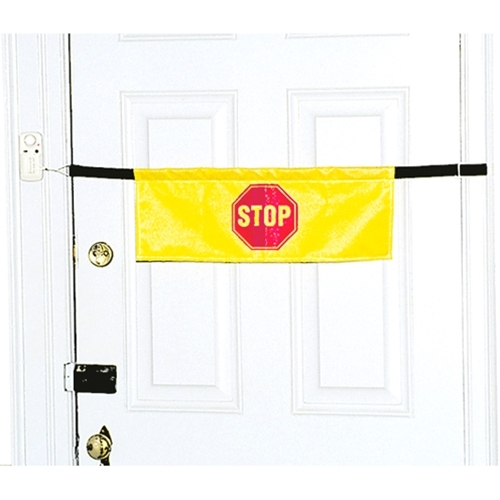 An arresting yellow banner and bright red "STOP" sign will catch the patient's eye. The alarm features an "off/soft/loud" switch and LED low-battery indicator. It attaches to the doorjamb with a hook and loop and fits doors from 30" to 42" wide. The product includes a 6 month warranty and requires two AAA batteries, which are sold separately.